Mr. Hoke is a second generation dog man whose family began in the sport of pure bred dogs breeding German Shepherds. In the following years Mr. Hoke and his family became successful Great Dane breeders under the Jamara prefix. Mr. Hoke then continued his career by becoming a professional all breed handler garnering many top awards in his career in every group. Mr. Hoke has bred Great Danes, German Shepherds, Pekingese, Maltese and Whippets. Exhibiting these breed to Numerous Best in Show awards and Top Rankings. His dogs have won best of breed at both National Specialties as well as the Prestigious Westminster Kennel Club. Following his career as a professional dog handler Mr. Hoke began a culinary career and was a chef at many esteemed restaurants such as the Inn at Little Washington in Virginia. Currently Mr. Hoke resides in Madison, Wisconsin in the USA. Mr. Hoke also volunteers for Take the Lead a charitable organization which assists people in the sport of pure bred dogs when facing terminal illness. Mr. Hoke has enjoyed great success in his judging career with appointments throughout the United States and worldwide, with judging experience in Japan, China, Mexico, Italy, Australia, Ireland, and Korea. 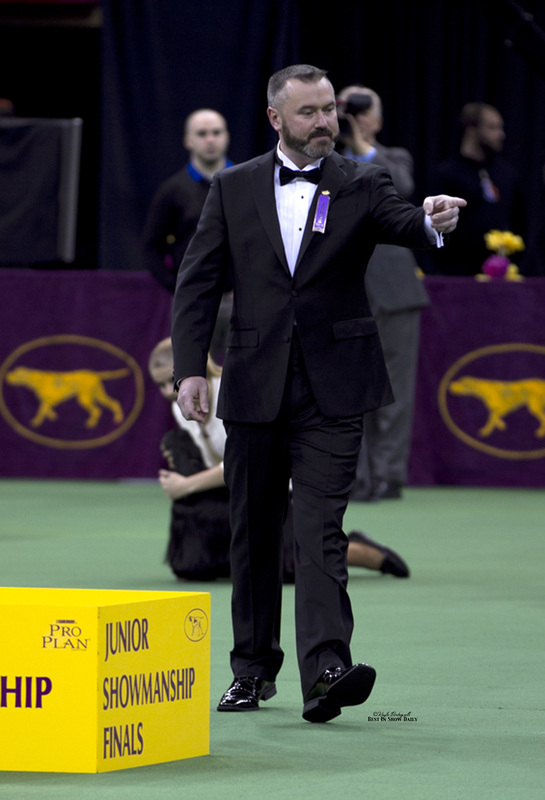 He has had the privilege of being invited to judge the Pointer , Miniature Pinscher, Great Dane, and Pug National Spevcialty as well as the Yorkshire Terrier Club of America and most notably the Toy Group at the 2016 Westminster Kennel Club. Currently he is licensed to judge all Toy Breeds as well as multiple breeds in five other groups. Mr. Hoke is still active with Great Danes and serves as the President of the Great Dane Club of America as well as their judge’s education committee along with being the television commentator for Westminster television coverage.